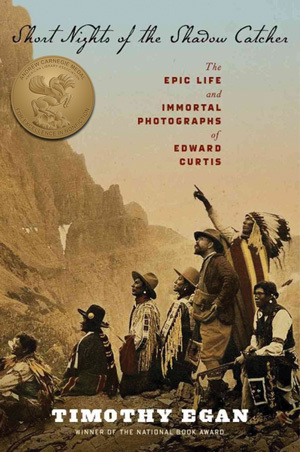 This is the second year the Carnegie Medal has been awarded – it was established in 2012 to, among other things, “serve as a guide to help adults select quality reading material.” Seattle librarian/books advocate Nancy Pearl chairs the selection committee. Everyone here at Valley Fine Art highly recommends this book, it is fabulous. I hope you all have the opportunity to read it. We have had a number of people stopping in the gallery to see Curtis’ images firsthand after reading the book. We invite you to come to the gallery as well.